Sometimes we all need to put fund raising and other works aside for a while and let our hair down a bit. Take a look at the Social Sub Menu sub headings for more details of these activities, and on the Calendar via the tabs above. 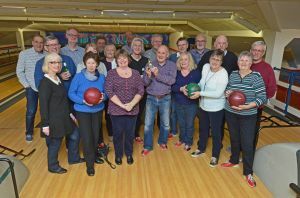 We have a wide range of social events from picnics, to black tie dinners, from ten pin bowling to trips to visit our twin club in Germany and friends in France. 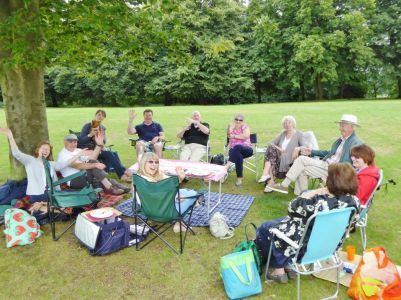 Walking and enjoying our local countryside is also a big part of our social activity for many members. The weather has been fantasti and the pub lunches very welcome. 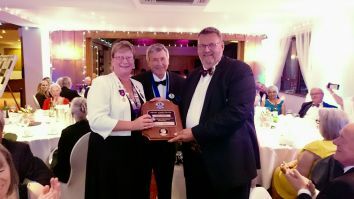 Well done Vanessa for the organisation. 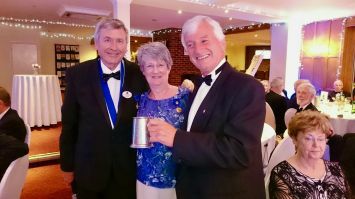 Recently was our dinner to celebrate 50 years of service to the Farnham community - our 50th birthday party. 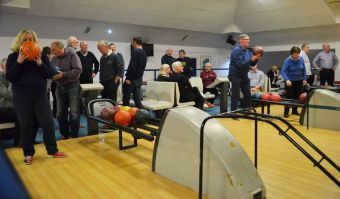 Every year Farnborough Lions Club get together with Farnham Lions Club for a friendly 10 pin bowling challenge with Farnborough Lions Club at a local bowling alley. 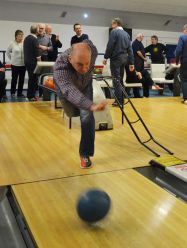 The evening comprises of the friendly bowling challenge for the 'Farnborough Lions Challenge Trophy', a team competition between both clubs with the best individual players also being recognised. 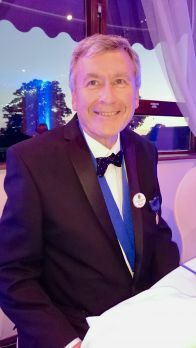 In 2015 Farnborough Lions triumphed over the larger Farnham team. 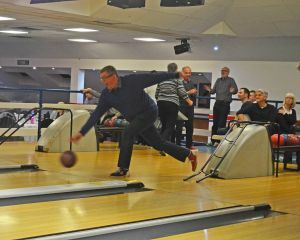 With all to play for both teams were able to practice for up to an hour before a meal was served when the teams were able to socialise before the competition proper started. 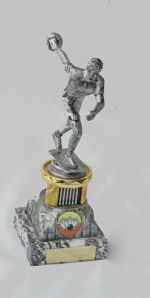 'Once play commenced in 2016 the competition was evenly matched for a while before the skill of the Farnham Lions Team shone through beating Farnborough fairly and squarely to take back the trophy from last year's winners' or that was how it was reported by the Farnborough Lions website - and who are we to disagree. 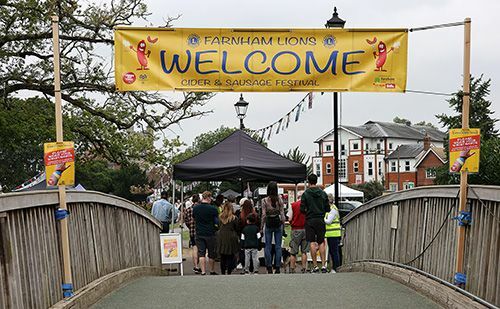 Not put off, we hear that the Farnborough Lions team will be back to challenge Farnham in the friendliest of competitions next year. Lion President - is it good? 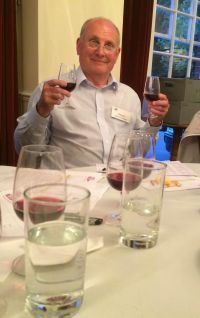 Well if Simon Moran Smith is anything to go by, he seems to be very relaxed after his year in office. Two glasses Simon!